Much has been written recently about the limitations of brainstorming as a useful technique for creativity and innovation. Brainstorming techniques hope to stimulate creativity by trying to get teams to think in non-linear ways leading to more random associations and arguably better – or at least more – ideas. Why the need for more creativity? Ultimately, frustrated suits hit a wall in terms of innovation perhaps because their team is stacked with too many left-brained analytical types. After all, they were hired because they could quantify ROI and optimize performance measures that large organizations like, rather than generate new ideas. At this point, in comes the creativity guru. Then, in some presumably energizing, one-day retreat, management teams are taken through a series of “creativity eliciting” techniques – from walking over hot coals to face their fears, to random association exercises. The assumption here is that the creative solutions are in us already, and just need to be somehow unlocked. While not completely wrong, there is more to the creative process than brainstorming would suggest. We want to be able to will ideas on demand. But an organization’s modus operandi is in fact the agenda or the project plan. We want to be able to will ideas on demand. So we try a few techniques, maybe some different thinking hats and voilà, enough ideas for your next innovation – or at least for your next meeting. However, what we are learning from research is that seemingly random insights actually come out of periods of deep incubation. In his book entitled, Creativity – Flow and the Psychology of Discovery and Invention, Mihaly Csikszentmihalyi, provides a simplified framework for the creative process. While I usually stay away from oversimplifications, Mihaly has published several books on the subject, and has developed a deep understanding of creativity from research based upon a major five-year study. Below is an excerpt from this often referenced book on creativity. I will explore further on why we fall for brainstorming techniques instead of the synthesis of ideas. According to Csikszentmihalyi, the creative process has traditionally been described as taking five steps. The first is a period of preparation, becoming immersed, consciously or not, in a set of problematic issues that are interesting and arouse curiosity. The second phase of the creative process is a period of incubation, during which ideas churn around below the threshold of consciousness. It is during this time that unusual connections are likely to be made. When we intend to solve a problem consciously, we process information in a linear, logical fashion. But when ideas call to each other on their own, without leading them down a straight and narrow path, unexpected combinations may come into being. The third component of the creative process is insight, sometimes called the “Aha!” moment, the instant when Archimedes cried “Eureka!” as he stepped into the bath, when the pieces of the puzzle fall together. The fourth component is evaluation, when the person must decide whether the insight is valuable and worth pursuing. This is often the emotionally trying part of the process, when one feels the most uncertain and insecure. This is also when the internalized criteria of the domain, and the internalized opinion of the field, usually become prominent. Is this idea really novel or is it obvious? It is a period of self-criticism and soul-searching. The fifth and last component of the process is elaboration. It is probably the one that takes the most time and involves the hardest work. This is what Edison was referring to when he said creativity consists of 1 percent inspiration and 99 percent perspiration. But this classical framework leading from preparation to elaboration gives a severely distorted picture of the creative process if it is taken too literally. A person who makes a creative contribution never just slogs through to the long last stage of elaboration. This part of the process is constantly interrupted by periods of incubation and is punctuated by small epiphanies. Many fresh insights emerge as the person is putting the finishing touches on the initial insight. Brainstorming techniques attempt to short-circuit the creative process by encouraging plays on perception to create novel combinations. The notion is that these techniques supposedly help teams generate more ideas faster. But there may be more at play for breakthrough innovation than novelty and the sheer quantity of ideas. Time matters. I like to think of these as the organic ideas. We likely need more prep work and greater periods of incubation to synthesize more significant ideas. This also needs deeper dives into problems and customer insights, as well as time for synthesizing new ideas. Time matters. 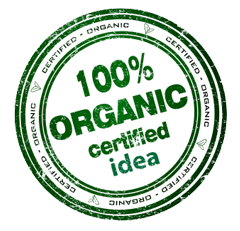 I like to think of these as the organic ideas – they might take longer to grow, but ultimately may be better for you. Ideas are, of course, essential to breakthrough innovation. The reality is that it is also very important to create the right environment and provide time that will cultivate creativity and innovation. This includes education that goes beyond brainstorming to executive learning programs whose objectives are to provide organizations with a deeper understanding of the innovation process. Also needed are work policies that encourage people to make time for what may appear unproductive – from taking a walk across campus to exploring new ideas. In a future article, we also explore the important role of collaboration in generating ideas.